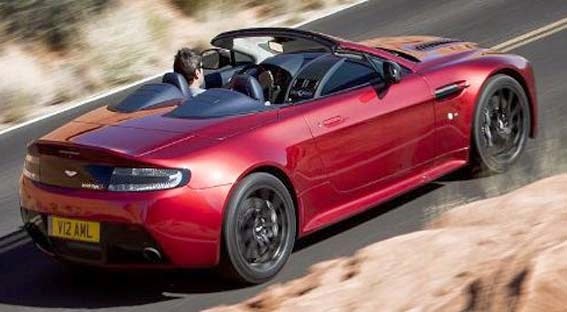 Aston Martin officially launched the new model V12 Vantage S Roadster. This car is claimed to be the fastest roadster and most potent for the company to improve marketing. 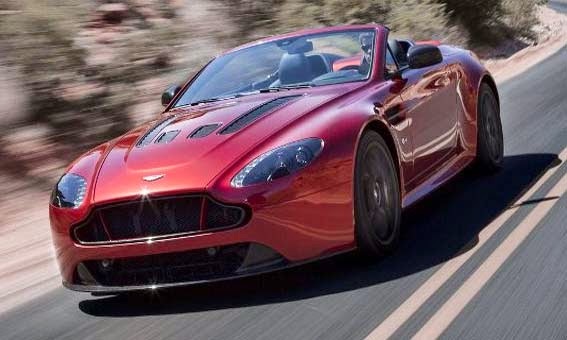 Aston Martin V12 Vantage S Roadster will follow in the footsteps of the V12 Vantage S Coupe which has a ventilated hood, carbon fiber components and black titanium accents or silver. The Roadster also has an aggressive grille which was inspired from the concept of CC100 Speedster. At section cabin we got new upholstery treats and door trim as well option package of carbon fiber such as the trim and the door handles as well black alloy pedals. While for the power, this car is supported machine V12 with a capacity of 6.0-liter that can generate power 565 bhp and a torque of 620 Nm. This machine is connected to the transmission Sportshift III seven-speed which enables the car to accelerate from 0-100 km / h in just 4.1 seconds, before touching a top speed of 323 km / h.
Speaking of performance, the V12 Vantage S Roadster has adaptive damping system, anti-lock braking system is a two-stage and three-phase dynamic stability control system. There's also carbon ceramic brakes and a Sport mode that changes the throttle response, gearshift speed and time, as well exhaust, once again, into a car with characters needed driver. Aston Martin V12 Vantage S Roadster will go on sale later this year with the price is still to be announced more further.